Likely my favorite 80’s shred guitar record, definitely my favorite record on Mike Varney’s label. Saw these guys live, touring for the follow-up record. 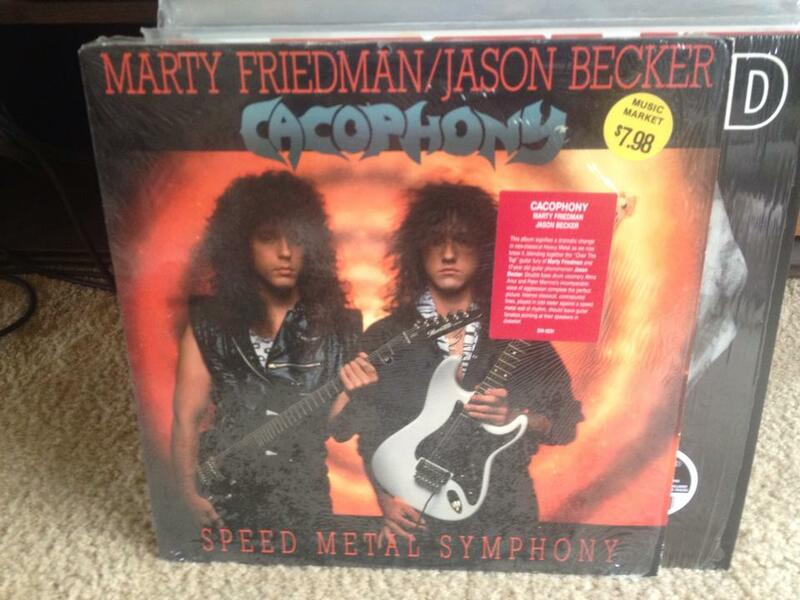 The difference between the 2 guitarists could not have been clearer - Marty Friedman looked like he was constantly playing at the very edge of his technical ability, Jason Becker looked relaxed and calm. Just a NATURAL. Jason’s would have been someone we spoke of in the same breath (for good or ill) as Satrina, Vai, and Malmsteen, if his body hadn’t quit on him like it did. Still haven’t been able to bring myself to watch the documentary. Living with ALS is a terrifying thought.